This is a interview done at at the East Liverpool Alumni Association building on East 4th Street on the afternoon of October 12, 2016/ by the East Liverpool Historical Society with Nakalya Edgell. Miss Edgell was a 2015 graduate of East Liverpool High School. 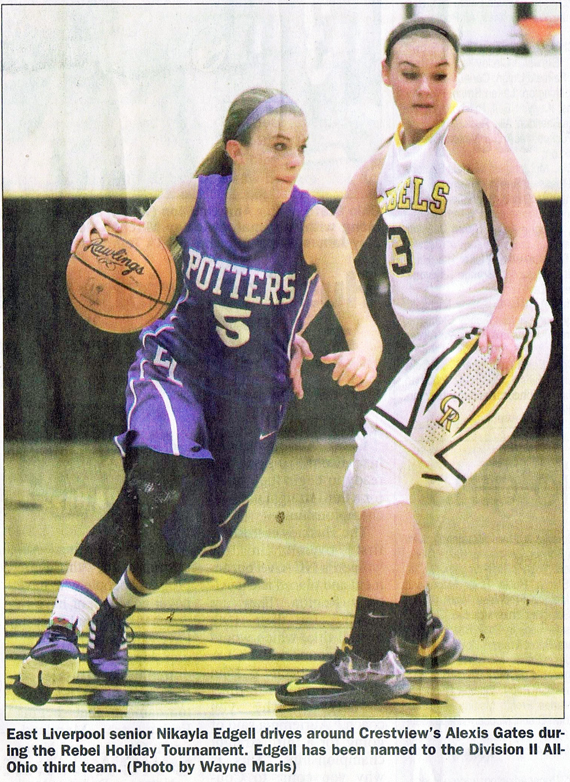 While attending East Liverpool High School she played Varsity Basketball for 4 years anf Varsity Softball for 3 years. 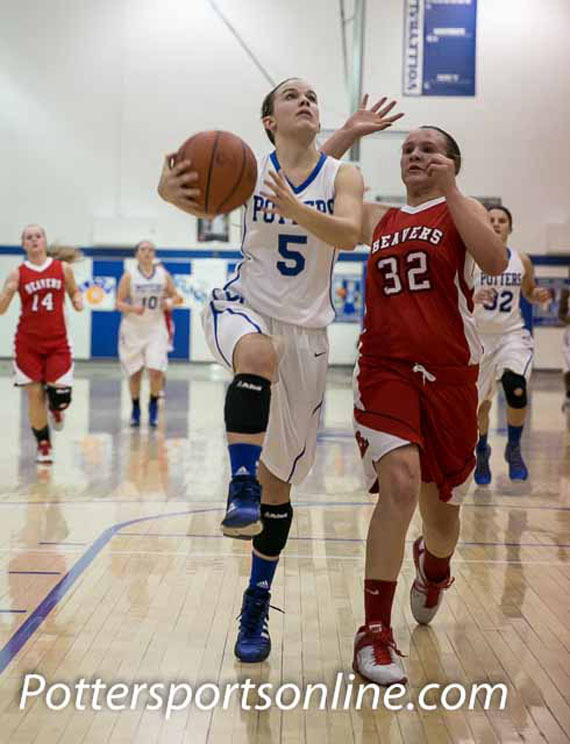 In the four years she played basketball she scored 1380 points. HS - Are you ready? HS - You said in a message a couple days ago that you had something you wanted to say. Do you want to start with that or do you want you want to go with the questions first? HS - Okay when do you recall developing an interest in playing sports? NE - Probably when I was six years old. That was pretty much all that I did. Just played outside, basketball. Softball was my first sport and then for Christmas I got a basketball hoop. I was seven years old and that was all that I did after that. I didn't really have a driveway or anything. I actually put it in the yard and that was all I did. p>HS - How did you develop your skills? p>NE - My Stepdad. Actually, at the time, he was an All-state athlete in three sports at Wellsville. So he was all on me about practicing everyday. So, I was out there everyday after school practicing by my self usually. HS - How did you Develop Your Dribbling skills" I ask everyone that.? NE - Dribbling? It was just constant. I was always outside by myself, just repetition over and over again. I spent everyday after school. When we first moved to East Liverpool in the fifth grade we would ride the bus to the YMCA after school. A group of us and we would play basketball. It was a after school program until our parents got done work around 5. HS - So you're not originally from East Liverpool? NE - No. Well I was born here but I went to grade school in Wellsville. HS - When did you start organized ball? NE - Second-Grade at the YMCA was my first year. I never played in a girls program until I was in 7th Grade. They didn't have one of those before then. HS - You played softball? NE - I did until I started basketball. I was pretty good at T-ball and when the girls started playing softball that is when I gave it up for a while since I was so focused on basketball at that time. HS - How many letters did you earn? ME - Seven, four for basketball and three for softball. HS - You played four years basketball? ME. Yes, four years basketball. HS. And how many years softball? ME. I played my freshman, sophomore years of softball then it always interfered with travel basketball. I played out of Lisbon and Akron for practice but I always sort of missed softball practices. So my junior year that was the year I really need to focus, my dad told me I needed to focus on basketball, so I gave softball up that year. That is your biggest recruiting year and we really just traveled all over the East Coast playing basketball. 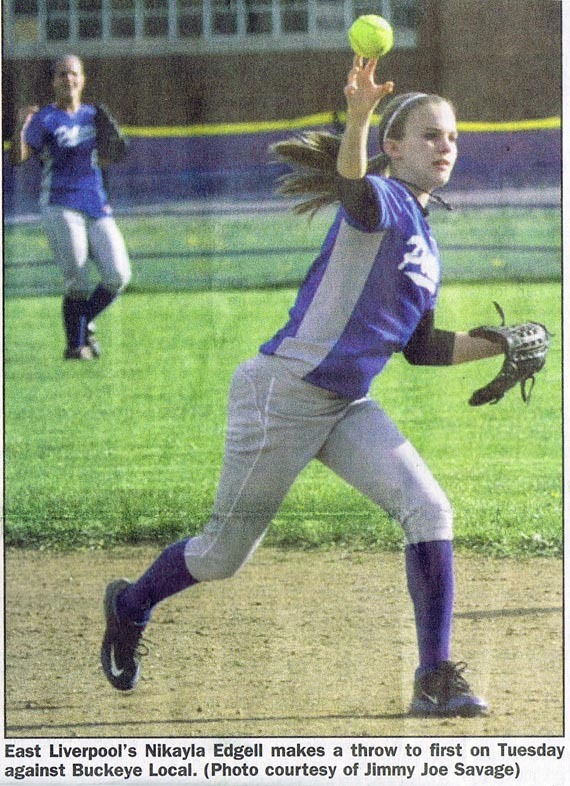 Then my senior year once I made up a decision on a school and that was no longer such a big deal so I decided to go out for softball again I played that year. HS. What happened your senior year? The team sort of fell apart. MS. Well I had three different coaches during the four years I was there. I'm not saying it with their fault or anything. Us five girls, us seniors, our eighth grade year we played together really well and once we hit high school a few of us played varsity and some JV. We honestly didn't play together again until our senior year. It was hard. HS. Did you ever check out the website, the East Liverpool Historical Society Website? HS. Did you read any of the other interviews? HS. What were your impressions? ME. They were good. I like them. I learned a lot of things I didn't know about some of the people I played with. I sort of felt like they were kind of afraid to give their opinions about some things. HS. Do you have a game face? NE. Oh my, I have heard that. 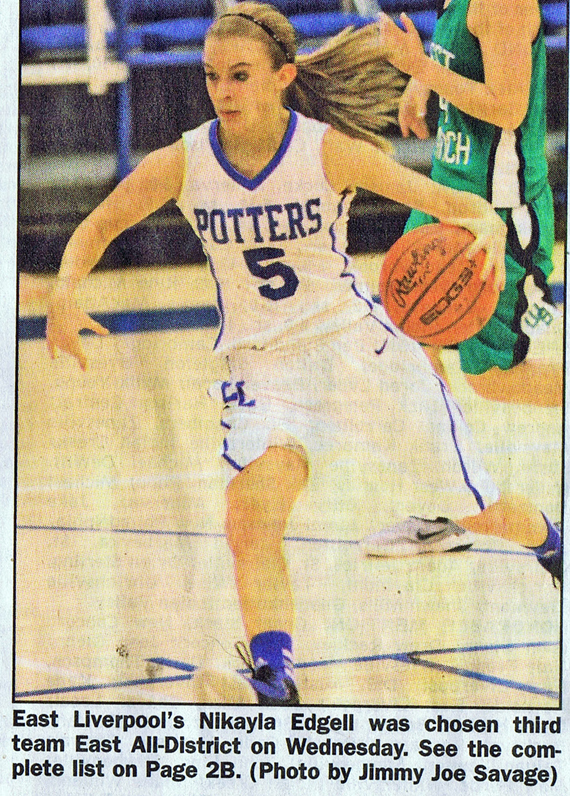 I mean I am a totally different person on the court. When I am on the court I don't see anyone in the crowd. You see a lot of kids look up at their parents. My mom was a gymnast, she has no idea about basketball and she doesn't really care to. So I really don't pay any attention to anyone in the crowd, and I have been told I can be pretty mean on the court. I'm nothing like that off the court. HS. Girls sports. What is your opinion on how they don't get the PR, the recognition that the boys do? NE. Well, from my experience it's a shame, it really is. When you have no one up there really pushing the issue it's never going to change. I don't think it's ever going to change. I just got the coaching job at the middle school so that was one of my goals. To just help those girls be seen. We had an athletic director but the true job of a A.D. is to get you where you want to go and I never really had that. Shansky was a great A.D but he had a lot on his plate so he did what he could. That's my goal. I know a lot of people from basketball so I am trying to get the girls out there and help them get where they want to go. HS. I have a little bit of a strong opinion on that. I think the girls program ought to get more attention and support. They are finally allowed to play in the alumni game. NE. I don't really have a desire to play in the alumni game. The event itself as always been about the boys basketball program. We always get pushed to the side so I don't see myself playing in that. This was just her senior year. NE. Mike McFarlane is my cousin by the way. NE. I was not voted for the district game which was odd and that goes by the coaches. I think our coach might have missed that and I also wanted to be put on the list for the All State Game. That was one of my goals. I wasn't put in for that either. You get to pick two games so I picked the OVAC game. Usually two girls get to go to the Columbiana game and we had five seniors, six seniors, so I figured I would let one of them go to that and I would go to the District Game but I found out I was not nominated. I decided to play, my best friend played in the County game so I decided to play with her one more time. It was a lot of fun because I got to play with a girl [sounds like Bailey Nook] from Columbiana. I don't know if you ever heard of her but her and I always went head-to-head in the standings through the County. We played a totally different game than Lisbon and all of them girls. We were a division 2 school and they are a division 4 I think. So when they compare our stats and their's I just think it is ridiculous because we don't play in Columbiana County, really, other than Beaver Local, Lisbon and may be United. So I don't find us compatible really. But my senior year I got runner-up player of the year and I think I averaged 25 points a game in division 2 basketball my senior year. I was outvoted at the County meeting. 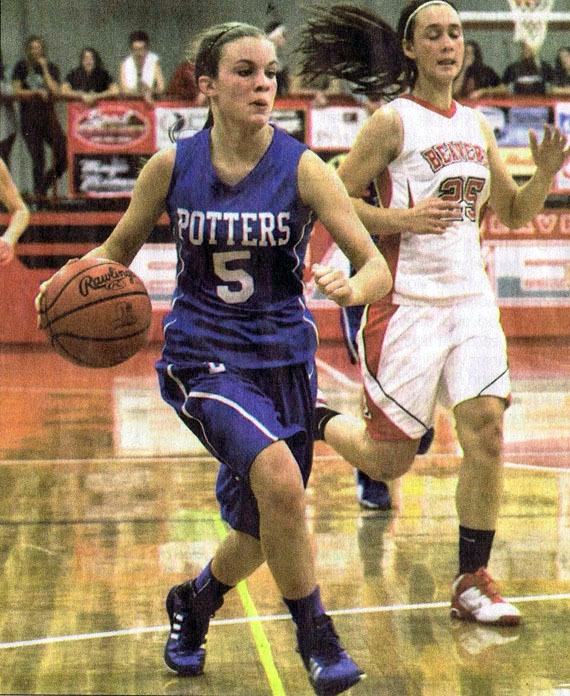 She got player the year our senior year with 19 points a game, though it was never about points, in division 4. So when the opportunity came up to play her in the Columbiana County All-Star game I took it and I think I made my point. NE. Yeah, and they knew that, a lot of people knew that. NE. I really hope that a girl that I coach breaks my record because when I was in eighth grade I remember Tommy Pease, a Ref., he told me you're going to be the one to break this record and I honestly had no idea what he was talking about. It wasn't until my sophomore year I actually thought it was possible. The thing about my scoring record in a game and in a season which will make it hard to break is in the off-season my freshman year I really decided I needed to start shooting the ball more instead of driving the ball. 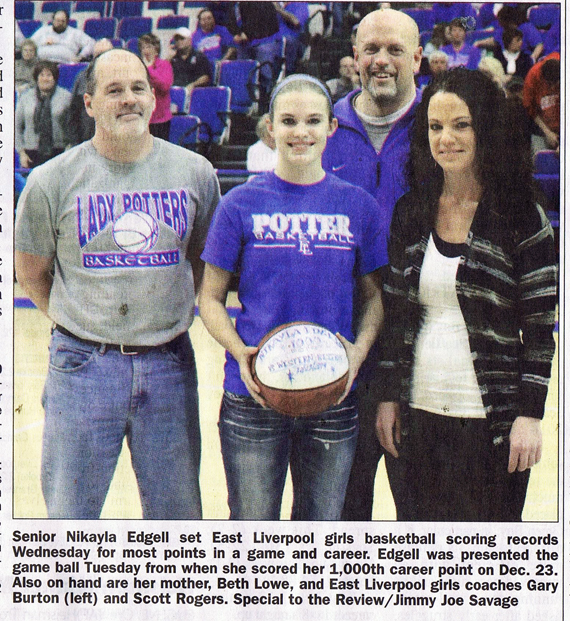 That led to a lot of three-pointers and that will be what determines if someone breaks my record or not. I remember I had 67 three-pointers in my junior year and I don't remember how many I had my senior year but a lot of three-pointers will be needed for a girl to break my record. The difference between 1380 and 1384 is probably people behind you need a good staff person. Those four points. It bothered me but then again, there are game tapes, there are a few times where our staff person, like my first game he missed three points. He ended up finding it and then they ended up marking me up for those. I think there are three or four other games he missed a few points also so it always comes down to those game tapes. They exist and anyone can take the time to sit down and watch them can see for themselves. So far I haven't gotten around to it. NE. Yeah, they don't really acknowledge us girls much. HS. That is very true. The boys have pep band, the girls don't. NE. My grandma, she does not know much about basketball either but she was one to tell you the girls not getting recognition really bothered her so my senior year she actually approached the band director herself and asked if maybe we can get the band for maybe a game or two. Band director was all for it. She said she had never even been approached by the administration, they had never brought it to her attention before. HS. And the boys have cheerleaders and the girls don't. NE. Yeah, we can do without those. HS. (laughter) No, no, no they need those as well since the boys have them. They have cheerleaders in college. NE. (laughter) Yes we had them in college, but is not needed here. HS. Anybody particularly enjoyed playing against? ME. Against? I love playing against Beaver local I see their gym now. I hold our gym up above anyone else is because is one of the nicest in the state but it was always fun first get out there and the place was packed and you couldn't get a seat and it was always the hardest 20 to 25 points to ever earn. Right there at Beaver Local and it was always fun. I only lost to them once, my senior year. 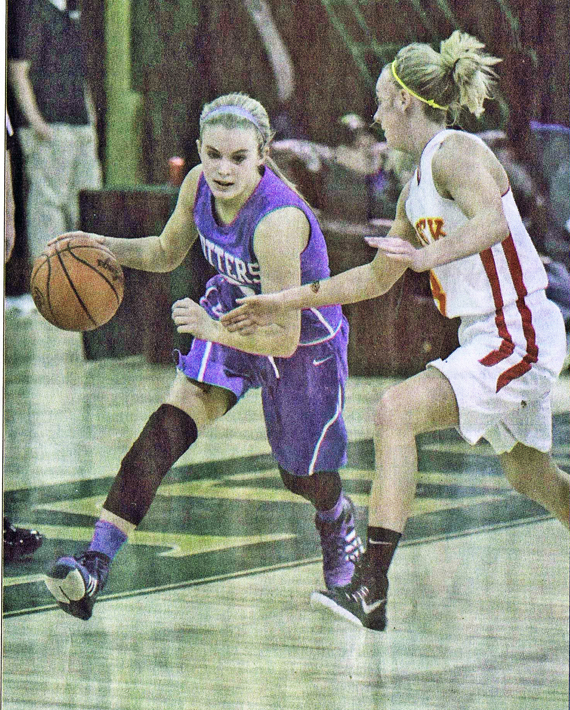 Individually probably Brie Berryman from Indian Creek. 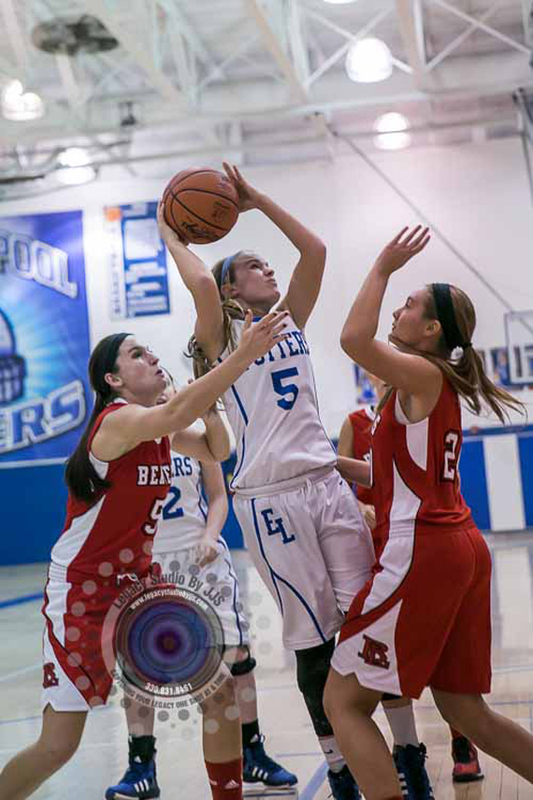 She is a 6'4" or 6'5" and her and I went at it since eighth grade and we actually beat her twice that year in the regular-season then they beat us my in my final game. She was the Youngstown [ ? ]. She is pretty good. HS. Why do you play sports? NE. Once I found out I had a little talent and I had everyone pushing me I enjoyed it. It always got me out of the house. HS. You played against the girl in Lisbon who broke up that robbery. NE. Oh that! Tiffany Ketchum, and I played travel basketball together for five years and we were actually best friends. 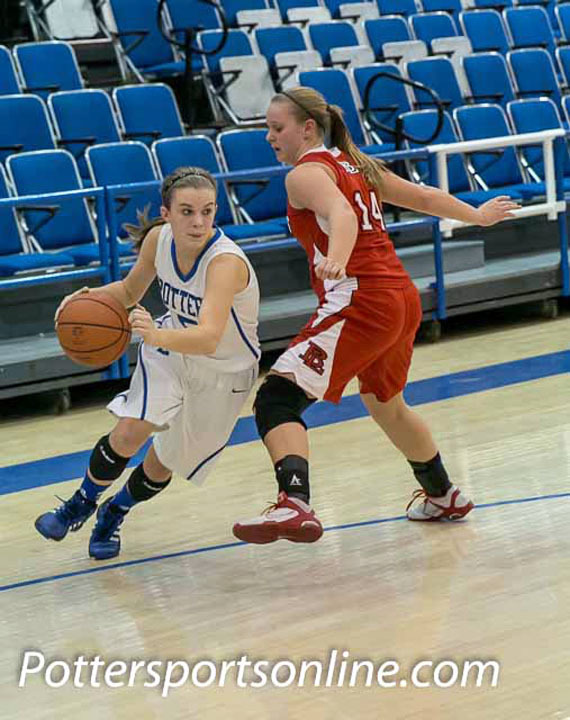 She is one of the toughest I've ever played against defensively. As soon as you picked the ball up her hands were all over it. She is definitely a standout athlete, she did break up that robbery. HS. She seemed to be pretty good against robbers too. NE, (laughter) yes, it is a big heart so that didn't surprise me at all. HS. 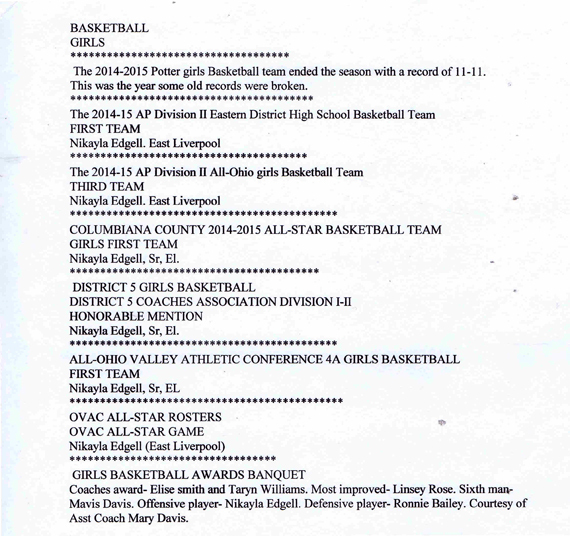 Can you think of any events in particular when you were playing softball or basketball at East Liverpool high school that you really found hilarious? NE. Hilarious? Oh man, I would have to go with, we were playing Wellsville but I can't tell you what year what year it was. Probably my sophomore year. We always plaied them on a Saturday morning right before homecoming which was for most girls was like the end of the world. I just remember I just came out and I had about 12 points in the first quarter and I always got the "ball hog" chant. So that was always humorous to me. It was something I had to shake off. Other than that I never really had anything funny happen. NE. Yeah, I was always too serious. NE. Yeah, there is always tension. Girls are going to be girls, like boys are going to be boys. I've never gotten into a fight physically. I might have shared words with other girls on the court but we never really had anything get too out of hand but So it's not surprising that it happens. Practices can definitely be interesting. Some of my best friends and I have definitely gone at it before. Seems like girls have a hard time leaving everything off the court. They bring it all on the court and that's when it happens, within a team. But I don't know what it is about girls they can be so angry out there. HS. So you know what your total scoring record is? NE. I think I do yeah. Until I decide to sit down and really look for myself. HS. 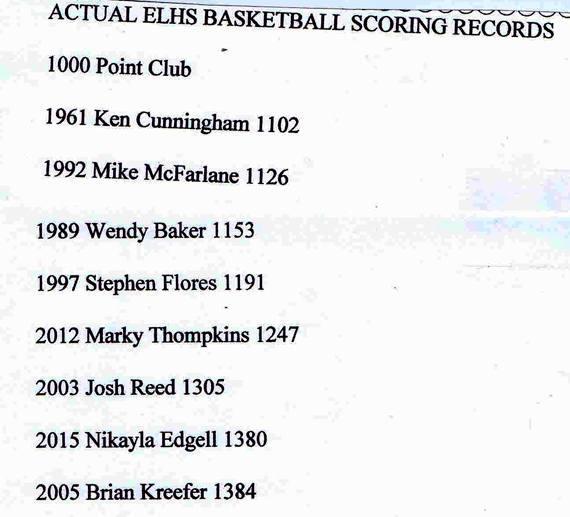 I noticed on your twitter account you have yourself listed as being the all-time leading scorer. NE. Yeah the all-time leading scorer because I really believe that I am. I think I'm going to find out for myself. I mean there are seven missing points between the 20 some games	we played and someone needs to get to the bottom of it. I can't do it myself because you know that there will be some controversy on that so I can't be the one to do it but I can definitely get the answers. NE. Yeah, I'm very competitive at pretty much anything I do. NE. Yeah, that's definitely what I want to bring this year in middle school because when I was in middle school [ ? ] Smith was my coach and he was one of the hardest people I've ever played for. You would think that high school would be hard but honestly when in middle school we were there to win. We had four hour practices on Saturdays. He didn't care if we practice on holidays. He would tell the administration this is what we are going to do and we did everything to win. So I'm going to try and bring that back because I think that is gotten lost. HS. Do you think girls are as competitive as boys? HS. You have played against boys? NE. Yeah, I didn't play against girls until seventh grade. HS. Why do you think girls play sports and boys play sports? NE. I think the reasons are the same. You play for your own enjoyment. HS. In a previous interview with one of the girls, she said at least one of the reasons boys played sports with the get a girlfriend. HS. Well if your the quarterback on the football team. NE. Ahhhh, I don't know, I never went after the quarterback. HS. I watched you play. Probably your sophomore year and for sure your junior and senior years and I will say one thing for certain. I never saw anyone swish three-pointers as easily as you do. NE. Yeah, that was like when I got to college they had me playing as a shooter and I'll tell everyone I am not a shooter. I'm not standing around waiting for the ball. I shoot really well off the dribble so I really struggled shooting like just standing around waiting for for a shot. I think it was just repetition that made me good at that. That quick release. I have had so many people ask me how what do you do that and I couldn't tell you. Honestly, I have always been either double teamed or trapped and when you you have that happen to you a lot you learn to get your shot off quick. I am going to try and teach every shooter to be able to do that because it deftly beats teams. A lot of people weren't ready for it. But it comes a lot of practice and repetition. So you definitely have to shoot a lot of shots and practice and after practice. HS . Are you even aware what you're doing when you do it. HS. Have you ever watch yourself doing this on film or video and analyzed it? NE. No. I have never seen the film for my senior year. I have to actually get that. HS. You are doing at your junior year too. HS. A lot of times you were closer to the half-court line. NE. I have always been like that. I don't know, I just feel more comfortable. I have always pushed the ball a lot so I was never very good on the inside but I was able to shoot and another thing a lot of people would never think you would shoot from outside. They would never defend you from all the way out there. HS. Do you want to teach that to someone. NE. Yeah, I plan on it. There's not a lot of shooters really in the program so we need shooters and point guards. I'm glad I am down there. HS. What did each of your coaches at the high school level teach you? NE. Well, I had three so. HS. Start with your first one. NE. Emily Reed, she's a great coach. She played in college and overseas. Breezy Nelson was our assistant. She was one of the best that ever played at the high school. They really just taught us how to be relentless. I was a freshman. At the time I weighed 97 pounds. I actually had to gain weight because I was just getting tossed around. They threw me in on the varsity level and they told me you can't back down. Just get out there and play basketball. You throw girls into that situation and they are so scared to make a mistake which I was terrified to make a mistake at the time. They just taught me to get out there and do what you know to do no matter how old the girls are you're playing against. I thank them for that. She actually taught me how to handle the ball a lot better. My second coach Dingy, he was very fundamental basically we did a lot of dribbling and stuff like that so he help me with that. HS. What happened in college? NE. Ah, college. My first year I went up and played Roche College. They are seven times conference champions a national qualifier for six years straight I think. I played for Kam Gissendanner. She was a former player for the Sparks in the WNBA, playued overseas, was a thousand point scorer at Penn State University. I had a few offers from YSU which wasn't paid for completely and that was what I was going for. I had Wheeling Jesuit offer me a two-year scholarship. I went there and it just, I just couldn't see myself there. I never would have thought I would look at a Division III school, but you just matured so much through your senior year so you think there is more to life than basketball. You need to go to a school for your education where you want to go. So it was a last-minute decision. I just thought I was going to end up it Wheeling Jesuit until she (Kam Gissendanner) came to my senior night game. I loved her, she is a great coach. When I got there she told us this is Division III and all but we run our programs like it was division I. Like everyone else we are here to win. We would do military based workouts. Some of the hardest workouts I've ever done. We worked harder then probably some of the teams in the country. She taught me I could do so much more than I thought I could. She was pretty hard on us. She would always say if this doesn't work out for you you know you can always make it military. HS. (Laughter) if you want to do that look me up, I'll tell you all about it. NE. (laughter) In the preseason I tore my MCL in my right knee so I was pretty devastated first but there was hope I could be back for the season so I did all my therapy there and push through it. Getting around on the campus was hard on crutches and all that but luckily there was a hospital right beside our campus. I came back for the season. I wanted to get in my first game obviously, I played behind a girl named Sabrenna McClint (?) She is from Cleveland, East Cleveland, Shaw high school, we played them in a few sports in high school. She is an All-American. My coach wanted me to be always on her to know that I could take her spot any moment. So I wanted to get in my first game for sure. So in my first game I scored, I had five points. But I just didn't feel hundred percent. I knew I never would be because it was second time of tearing my MCL and I just knew I wouldn't feel like I did before. A lot of things happen after that I lost my grandfather in December. NE. Yes. So it was just a mix of things made me look at things differently. It made me realize I needed to focus on my education so I come back here in the spring. I decided that I would finish school here. I made business management, and marketing and sales my course of studies. I will have my Associates degree hoping by next fall. I also plan on going back to Roche College maybe for grad school. It's great school. A Catholic school, my grandparents really like that. There is so many connections there. They will help you get a job anywhere you want so I really like that. It's just crazy that all through my first year of college all I could think about for some reason was coaching. I had already come home at times to help the Little Potters. So, I thought this is something I really want to do. It's just weird after all that happened I realized that basketball wasn't, basketball isn't forever. That your education is going to get you a job and help you for the rest of your life. That really made me realize that I needed to maybe come home and focus on that. They needed a coach at the middle school. I never saw myself, with everything that happened to high school, I never saw myself coming back coaching here but it was a chance to get my foot in the door. Scott help me out so it's great how it all played out it was like I was meant to be here and I am glad to be here. HS. So you would like to coach further? NE. Yes just high school probably I mean if I can go further in coaching that would be great, high school is nice. NE. Yeah? In college I played with some of the best of the best. There were some girls there who could play Division I basketball right now but they chose to come there to win championships. It's a great program so I encourage anyone to look into that for great program to play for. HS. So you went up there and you were on the team for one full year? NE\. Yes, Which is considered a year, an academic year. I only have three years of eligibility left. Once you got on the floor and a collegian game that's one year of eligibility. HS. So that was beginning what year are we talking about? HS. Fall of 2015 to when? HS. That was when you got injured? NE. No, I had already come back from the injury. It was it was near the end of the semester. That was the day I lost my grandfather. I had come home after my game. I actually just came home just to visit and we had the day off which never happens. We beat a team in our conference we don't lose the teams in our conference. We beat them by 53 and she was mad we didn't beat them by 60. So she told us next morning we would run sprints. I remember she told us we go home for the day if we were close enough. First day off after five-game week. Something just didn't feel right. My dad works out of town, he is in Iowa right now. He called me and he said that they had taken my grandfather to the hospital. This was a second stroke, so we went up there. I did not think anything. I didn't think what was going to happen would happen prior to this. I just plan on going up to the hospital in Youngstown and coming home and heading back to school. Well we got back there I remember him saying, "how did your game go last night? I'll be up to see one." He hadn't seen a game yet. He said, "better have your grades up." I said, "I do." That was the last thing I said to him. After we left the room he went into a coma. We had no idea he went into a coma. I was, I actually had left to go back to school. I'd come home to get my close and I got another call that they were going to life flight him to Cleveland I thought maybe I should stay. I called my coach because this was not good. I ended up making the trip to Cleveland. We stayed up for 24 hours while he was in a coma. They finally told us he had a lot of blood on his brain and that we were gonna pull the plug. We stayed up another 24 hour's waiting on family to get there. NE. At that point I didn't want to go back to school at all At that point the semester was basically over, we were going to be off for a month but I didn't have it in me. That is really when I thought about everything and decided I should come home for good. So I am glad I did. HS. You said in your message you wanted to tell your side of the story. There are all these rumors, this and that and so on. So now is your chance. NE. Ah, I don't know. It just gets, I don't know. Mainly with the points thing everyone questions, always questions me about the situation. As a student I couldn't do anything about it. Yeah, it upset me that no one helps the girls. My coach helps me tremendously but other than that, other than us and our program, no one reaches out to help us. So that was kind of devastating. I always get questioned about it. Why wasn't this done differently. Those things were out of my hands, there was nothing I could do. I would like to help change it. Wendy Baker said before she would like to see a change and also would like to make a change. Just the whole scoring thing. HS. Girls basketball team did not seem to have a strong booster club whereas the boys do have a strong booster club. NE. Well has been brought to my attention that a lot of businesses within the city actually donates to the rebound club every year. We brought it up why should that just be boys based? That should be distributed throughout the whole basketball program. I don't know if you ever walked into the boys locker room. There are four locker rooms at the high school and the boys basketball team have their own. We share locker room with the girls gym classes. You never know who is coming in or out of our locker room. There is a room in the back of our locker room that finally someone came and said we should make that the girls locker rooms strictly for the basketball team. They deserve a place where they can put their stuff just like the boys boys have their own lockers with names on them and everything else. They told us that was a storage room I knew was nothing they could do about it and there is no other place for the stuff in there. That just shows you that they are just not trying. They didn't want to try for us. But Scott is pushing the issue again this year. It's just the little things like that, that could get us recognize more. But someone making waves could create a lot of enemies during that process and I'm sure I'll get stuff for saying this but yes hopefully this will help. I probably made more enemies while in high school because of that. But can you blame us. We just wanted what everyone else gets. It's funny because when I came home from school I asked my mom because she knows a lot of people around the area. I said, "hey can you get a hold of so & so. I really would like to coach." She said, "You know what, if you want something you have to go get it." It's just funny I actually. I did that and I ended up getting the job. I will definitely remember that the rest of my life. You want something you have to go get it. HS. Are you tough on the kids? NE I plan on being tough on the kids. HS. You haven't started coaching yet? NE. nope, we started two weeks. HS. That's at Westgate right? NE, yes. There's a lot of talent down there actually. So I'm thankful for that. Falling into that position. I have the head coaches daughter down there. There is a girl about 6' 2" and 8th grade so you could do a lot with that. The foster girl, I'm sure you're familiar with the foster athletes. She's down there. There's a lot of girls. They have a program now finally. A Little Potters Program for the girls and they get 40 to 45 girls every year first 5&6 grades. So now I get the older ones and they love to play basketball. HS. how long do you plan on coaching if you have your druthers? NE. I plan on coaching here as long as they let me honestly. At first there is controversy over me getting the job about how young I am and some other things. HS. Do you want to talk about the other things? NE. I mean really, I don't know. I have never been in trouble in high school. I never caused any trouble, it's just like I always had a target on my back or something so I knew stepping into this, even applying for the job would bring some chaos. Then I was offered coaching job at Southern local so I figured if I could coach there why can't I coach here? I don't know, I would never go. It seems like a lot of alumni go someplace else like beaver local which I would never ever do. I feel like the whole Potter thing, the Potters Pride has really went down the drain. When we were in middle school or high school during my first two years, when you think of the Potters you think of, I mean we get crap everywhere we go. Were like the nitty-gritty, we play dirty, you know we play hard, that's just who we are, and lately seems like sports hs kinda went down over a few years. That just goes to show if you want to do a anything about it, a lot of answers I get lately is that we don't have the funds for that which I think that is just an excuse, because I grew up, just me my mom my brother and we always made it happen so there is no, I traveled the whole East Coast playing basketball and you know it just takes a community to come together for the kids and actually want to be there for the right reasons. HS. The coaching tree here, the path can lead to the high school. NE. Yeah, I'm hoping it does. They need this year, I'm not sure if you have heard of the athletes up there but the younger girls they need someone to help them with point guard desperately. Last year they didn't have anyone to help with the point guard. I told him I would come up there and help. If they were not going to give me this position they weren't going to hand me a high school position so I told them, I'm free, I can come up and help them, and hopefully that leads to getting a freshman job or something like that. HS. Thinking you do anything softball coaching wise. NE. No. I played softball and was decent at softball but honestly I played softball to get away from basketball. I played all year round so it was a break. Actually's basketball went into softball season so as soon as you got done the next day you started softball so was a good break and it was a lot of fun. HS. So you're going to go to college and at least finish here? HS. And you will coach while you are here if you can? NE. Yes. I take a lot of online classes and I can set up my schedule where I can coach, as soon as I saw that, while school comes first obviously but this is just my chance and I know if I didn't apply for the job and take the job I probably wouldn't be able to get out get in for a few more years so I wanted to see what I could do. HS. Anything else you would like to say? NE. I have a brother, A lot of people don't know that, in middle school who will be playing basketball this year. I think he would like to be included in this interview. I would love to see him surpass me. He has a lot of height on him, he is about 6 foot in seventh grade. My friend Kade Reynolds, he graduated with me. He is a good basketball player. He got the coaching job also so he will be coaching my brother on the seventh grade team. He was a point guard and my brother is a point guard now. I would like to see my brother stay there because when you're that tall has a point guard you can really go far. I think that is where he will be playing for a while. I think he will blow me out of the water in all honesty. Sometimes I don't like to believe it, when he was younger I was like no but now I'm starting to see it. He plays football too and he is just doing so well at it. It's crazy, were just two totally different people and I just never thought he would really love the sport like he does. HS. So sum up your four years at East Liverpool high school sports wise.